Piotr Komorowski is a musician of wide interests. He has been conducting operas and symphonies, performing as a pianist both at chamber concerts as well as accompanied by an orchestra, has also been preparing and leading musical shows. He has given concerts in almost all European countries , USA, Korea and Japan. He has cooperated with many stars of opera, musicals, and with excellent instrumentalists. "I was given the opportunity to be taught by excellent teachers-performers and prominent figures in the music scene in Poland… it is a great piece of luck…"
He supplemented his education with numerous seminars in Europe and in the USA. Scholarships of the Ministry of Culture, Yehudi Menuhin Foundation in France and The Kosciuszko Foundation in New York enabled him to continue his development and, among other things, to work with the American pianist Ivan Davis. After a two-year stay at the University of Miami he earned a Master of Music diploma. Cooperation with singers was one of the most important issues in Piotr’s pianist activity. For a period of time Piotr was almost completely dedicated to voice and piano repertoire. In 1996 he was offered the position of musical director for a musical show. This was the beginning of cooperation with German impresarios, as a result of which, in the following years he prepared another seven shows and later on also concert programs. "I remember when, after the musical shows, I was leading performances of Rachmaninov’s music, and after concerts of Bartok's and Mozart’s music I was conducting marvelous songs from Disney movies .... 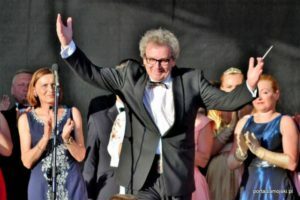 Very interesting times...."
Piotr conducted many special events like: Concert for 10 pianos organized by F. Chopin Academy od Music or the huge open air concert for 170 performers and dozens of thousands of listeners. 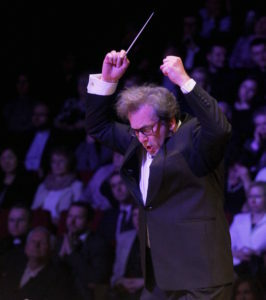 In 2015 a CD was released where Piotr conducted Polish Radio Orchestra and Grzegorz Małecki was the soloist. The artists recorded 15 songs by Maciej Małecki and Grzegorz Wasowski.